1. I absolutely loved this post by Allison Vesterfelt, one of the blogs I regularly read. It resonated with me because my family is so not normal and that's exactly what I love about us. We are fiercely different and yet our bond is too tight for words. We fight and we tease but we encourage and laugh. The loyalty in our family runs deep and, much like Allison described, we've become better as our unit of six became eight with the addition of my husband and brother-in-law. 2. That photo above? My new tree skirt, courtesy of my mom. She hoarded all of the creative talents in the family for herself (and my sister), but at least I still benefit, albeit indirectly! That monogrammed burlap tree skirt was inspired by (what else?) Pinterest and she surprised me with it while in town last weekend. I don't even want to put presents under the tree, lest I cover it up! 3. Don't forget to print off your coupon for $1 off an Alexia sweet potato product. The link is exclusive for Tastemakers and their followers (i.e. you guys! ), available through the end of December. I recommend using it to pick up some spicy sweet potato fries or the lemon parmesan waffle fries! 4. Have you started your holiday baking yet? 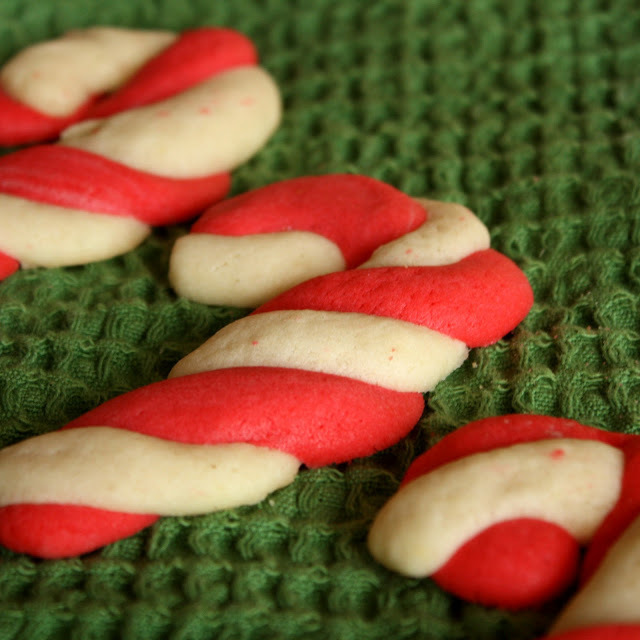 I'll have some recipes for you in the coming weeks but also want to point out some of my favorites that I make every year without fail: chocolate mint puddles, s'mores bark, and candy cane sugar cookies. What's your standby Christmas cookie?